Situated close to the waterfront, this three bedroom house enjoys an enviable position with views to the River Medina and East Cowes Marina from the lounge and 2 principal bedrooms. Arranged on 3 levels, the house has been tastefully furnished to provide comfortable and well equipped accommodation. Conveniently located across the river is West Cowes, easily accessed via water taxi or Cowes floating bridge (vehicular and foot passengers) world renowned for its yachting activities and Cowes Yacht Haven, with numerous shops, restaurants and pubs in the town. There is a good regular Hi-speed passenger connection from Southampton. 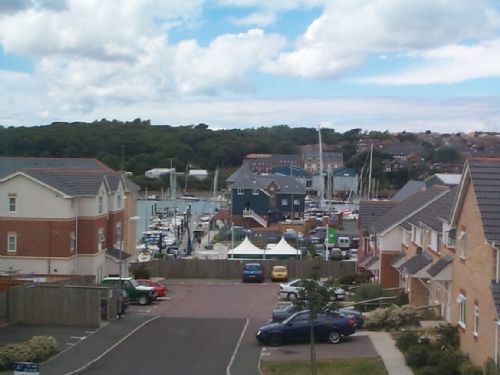 East Cowes is accessible by car ferry from Southampton and is famous for Osborne House, home of Queen Victoria and Prince Albert, Osborne Golf Course, Marina, Heritage Centre and various sports and leisure activities. The waterside Life Boat Inn is within short walking distance of the property, and the nearby Folly Inn can be reached by Water Taxi for those wishing to escape the car and enjoy a leisurely meal and drink overlooking the River. Sleeps 6 in 3 bedrooms Situated close to the waterfront, this three bedroom house enjoys an enviable position with views to the River Medina and East Cowes Marina from the lounge and 2 principal bedrooms. Arranged on 3 levels, the house has been tastefully furnished to provide comfortable and well equipped accommodation. 1 It should be mademuch clearer that there is no bed linen or Wi Fi. We would have paid a little more and had these. However a great place to stay. We had a lovely stay in this property. Everything was as it should be. Although bed linen and towels are not supplied we did find that hand towels and tea towels were provided and that the house was really very well presented and equipped. A beautiful house in a good location. Loved the decor throughout and very well equipped. A pub/restaurant within walking distance was ideal for our evening meals. Would definitely recommend. No issues at all. A very enjoyable stay. Could have done with better instruction for appliances / hot water. Worked it out in the end though. The North of the Isle of Wight is home to the County Town of Newport, with the Medina River running through it towards the Solent dividing East Cowes and West Cowes. To the West are the villages of Shalfleet and Newtown Creek with a stunning Nature Reserve; to the East are Wootton Bridge and Quarr Abbey. Osborne House and Carisbrooke Castle are both with English Heritage, shrouded in their history and surrounded by beautiful grounds, definitely worth a visit. Quarr Abbey, further down the coast from Osborne, is a spectacular working Monastery with tea rooms. The Roman Villa in Brading often has educational classes in the caf&eacute;. Newtown is one of the oldest towns in the UK, situated near a nature reserve, a lovely place to walk and enjoy the wildlife. Best known as the world's premier yachting centre, Cowes is the Island's main port. Yachtsmen from all over the world participate in the season's prestigious sailing events, the best known being Cowes Week, held annually at the beginning of August. Shopping in the narrow pedestrianised High Street is a delight, with some excellent shops, many catering for the yachting fraternity. The town also has an array of fashionable clothing shops, gift shops, delicatessens, cafes, restaurants and lively pubs. The Nature Reserve at Newtown is the beautiful home to many species of wild fowl. In land Parkhurst Forrest offers acres to walk dogs and children, with squirrel trails and woodland for picnics and adventure games. The Isle of Wight has played host to these two increasingly popular music festivals. The Festival is held in early June just outside Newport and has been going since the 60's. The Bestival is held in September at the Robin Hill adventure park and every year announces a different fancy dress theme which everyone throws themselves into. Popular with families, both attract some of the great new and old musical acts and the Island's atmosphere is electric over these festival times. This part of the Island holds some of the best restaurants and pubs. Cowes being a place of destination for many yachtsmen offers a wide range of cuisine of which Lugleys with its sea frontage is popular. There is also a Lugleys in Newport and Olivio's in Newport and Ryde offing delicious menus. Pier View pub in Cowes serves the best hamburgers, the Sportsman Rest in Porchfield is very popular too with families and is close to good walks.